For the past several weeks, in Ward Upham’s compilation of Hot Topics, bagworms have been mentioned. Last week, they were designated as Pest of the Week. This is not a real surprise given the time of the year. Why? As pictured below, the colored time frames are indicative of bagworm feeding capabilities. 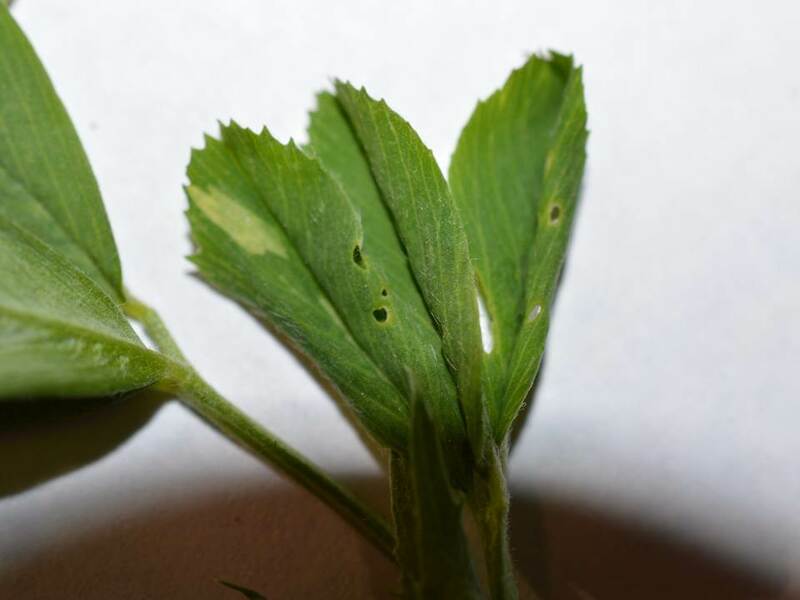 Smaller (generally overlooked) larvae in the green and yellow zones represent periods when larvae are small “nibblers” — negligible visible feeding damage. The orangish/amberish represents “caution” — larger larvae becoming more destructive but not necessarily causing noticeable damage. 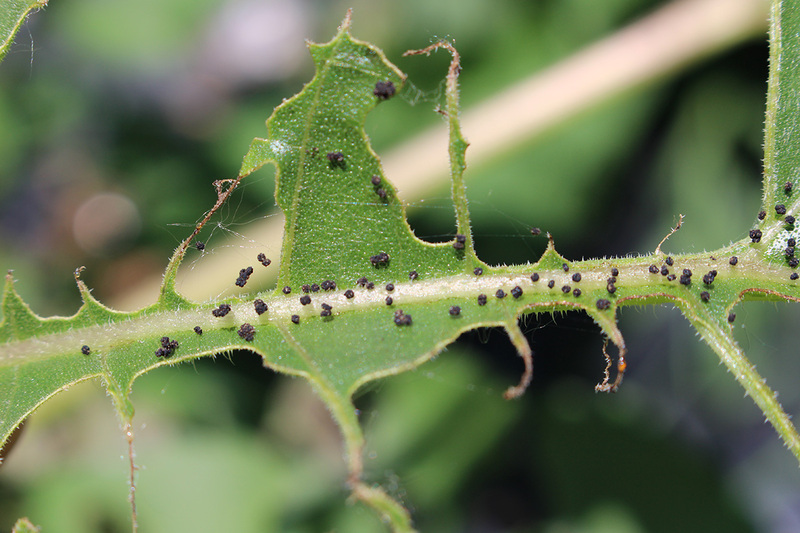 But now (August) is the red danger zone where (as is typical for all lepidopteran larvae) rapidly growing larvae in their last feeding stages consume the greatest amount of foliage (create the most noticeable damage) that has people reacting to the presence of bagworms. The question now is, “Is it too late to spray for bagworms?” Currently, it is not too late to spray! 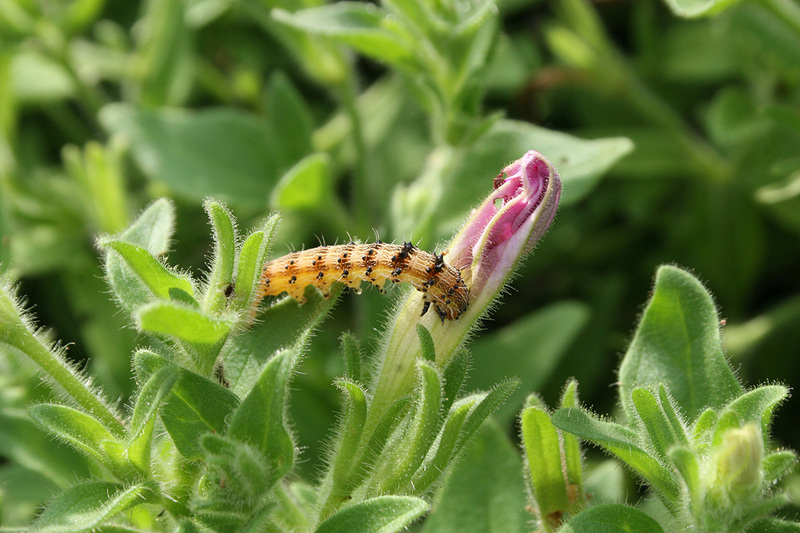 Notwithstanding their size, as long as bagworms are actively foraging, they can be effectively controlled. Those directly hit by an insecticide spray will be killed by contact action. 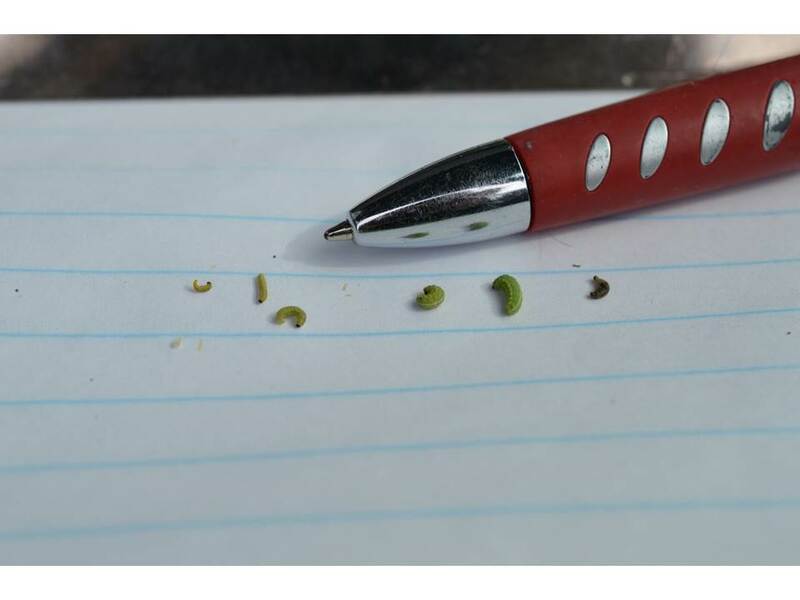 Those withdrawn into their bag at the time of the spray application will likely succumb after coming-in-contact with treated foliage, but most certainly after consuming treated foliage. 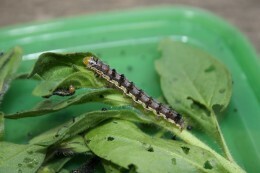 How does one determine if bagworms are actively feeding? OBSERVATION! “Active bags” can be identified by newly-clipped greenery at the bag opening. 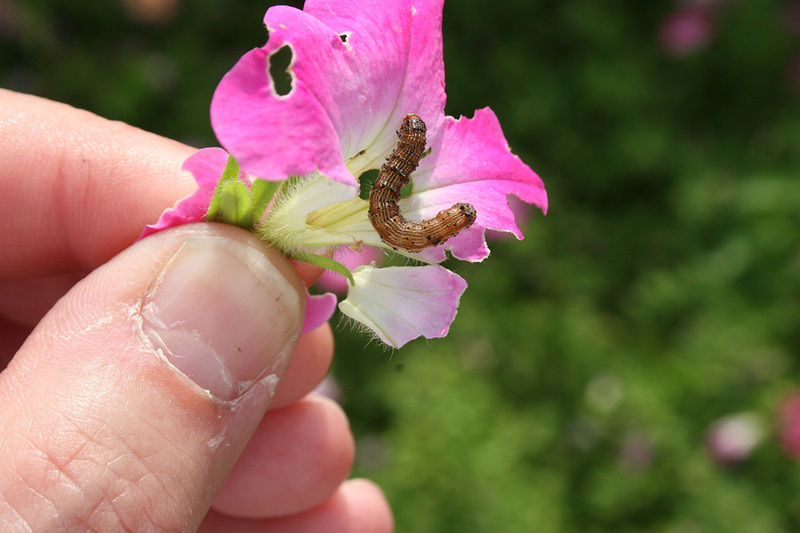 Also, with a bit of patience, simply watch for a bagworm to reopen its bag, poke out its head, and resume feeding. 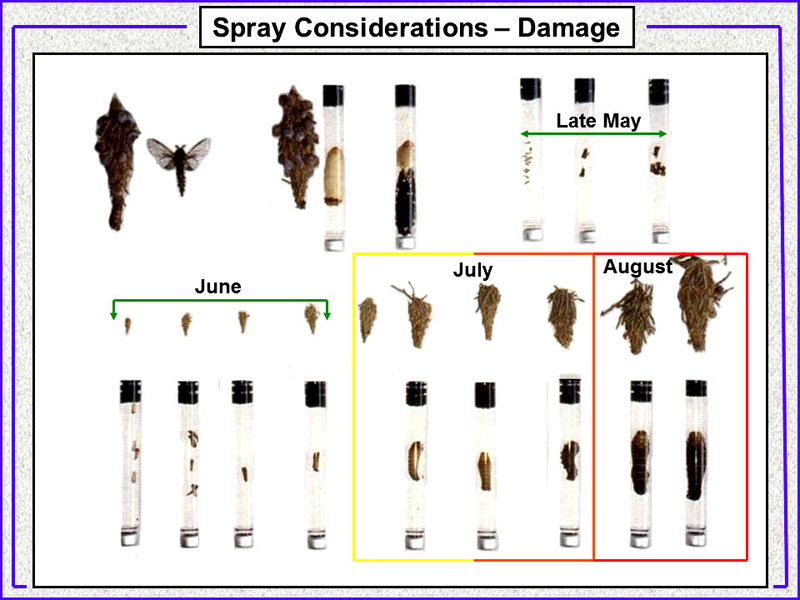 When is it too late to spray for bagworms? That also is easily determined. 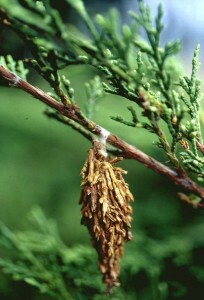 When a bagworm completes its feeding cycle, it anchors its bag to the host plant with a distinct, highly visible white silken “tie”, after which it permanently closes the “front door”. Spraying at this point-in-time is futile because the thick leathery bag protects the bagworm within. According to NPIRS (National Pesticide Information Retrieval System), currently in Kansas, there are 500 products registered for use against bagworms. 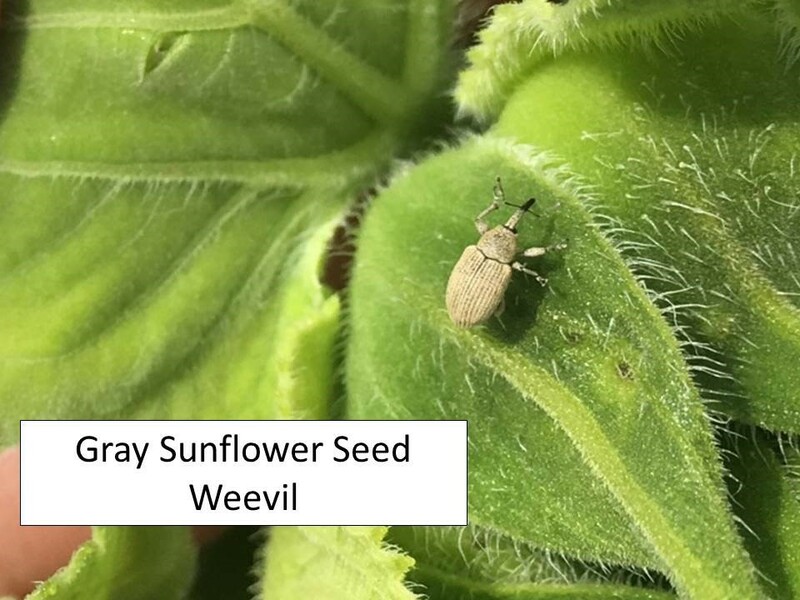 Some active ingredients currently contained in insecticides available for purchase and use by homeowners include acephate, Bacillus thuringiensis, bifenthrin, carbaryl, cyfluthrin, cyhalothrin (gamma and lambda), deltamethrin, malathion, permethrin and spinosad. In various trials, I have used the bolded AIs and found them all to be effective against bagworms, even those considered large and close to the end of their feeding cycle. Some homeowners may still be in possession of discontinued products with the active ingredients chlorpyrifos, dimethoate and/or diazinon. All were effective against bagworms in trials. Although it does not appear to have been written into any legalized directive (per personal communication with the KDA), discontinued products may still be used if done in accordance with the instructions appearing on the product label. Residents may not share or give partial containers to neighbors as this would be considered distribution. Excluding products containing Bacillus thuringiensis (minimal effectiveness against larger instar larvae), regardless of which product/AI is applied, the critical factor for successful bagworm population reduction is THOROUGH COVERAGE TOP-TO-BOTTOM! Hastily applied light/misty sprays to tree and shrub peripheries will lead to disappointing results. Plants in north central and south central parts of the state are finally starting to grow. All the cloudy, wet conditions have not been the best for corn development and many fields are a little more chlorotic looking than usual for this time of year. This stalled development usually allows pests more time to feed and thus cause damage. Seed treatments only provide protection for 3 to 4 weeks (check label) from planting, so most of that protection has dissipated. 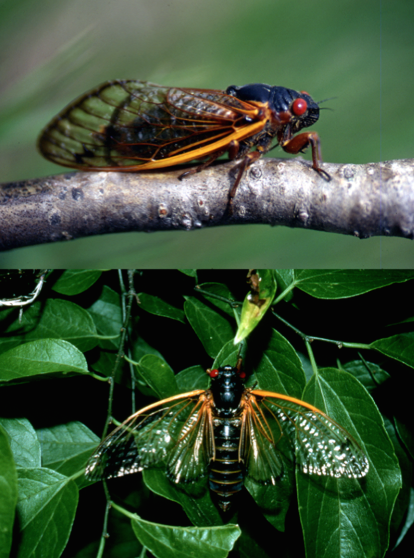 However, we have not seen nor heard about much pest activity yet. 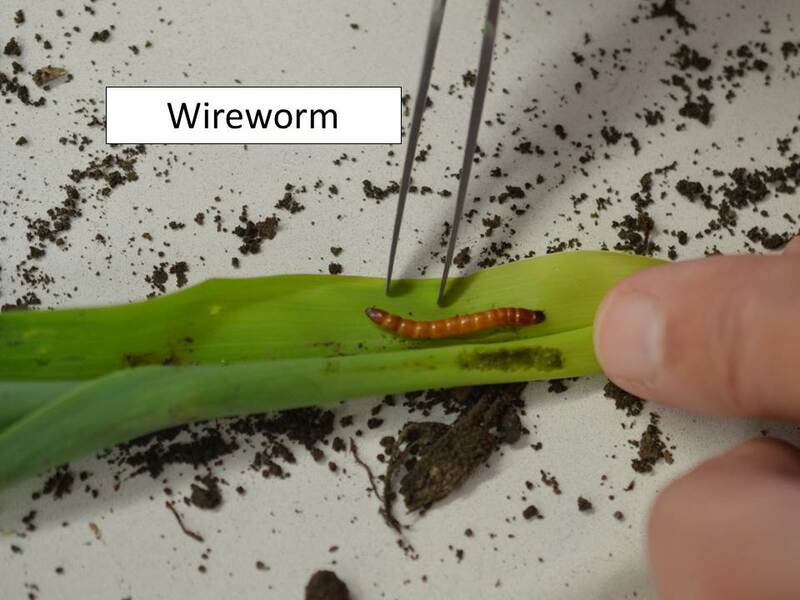 A few thin stands have been noted which can be caused by many different pests, probably most common so far has been wireworms. Generally, however, most fields are past seedling damage. 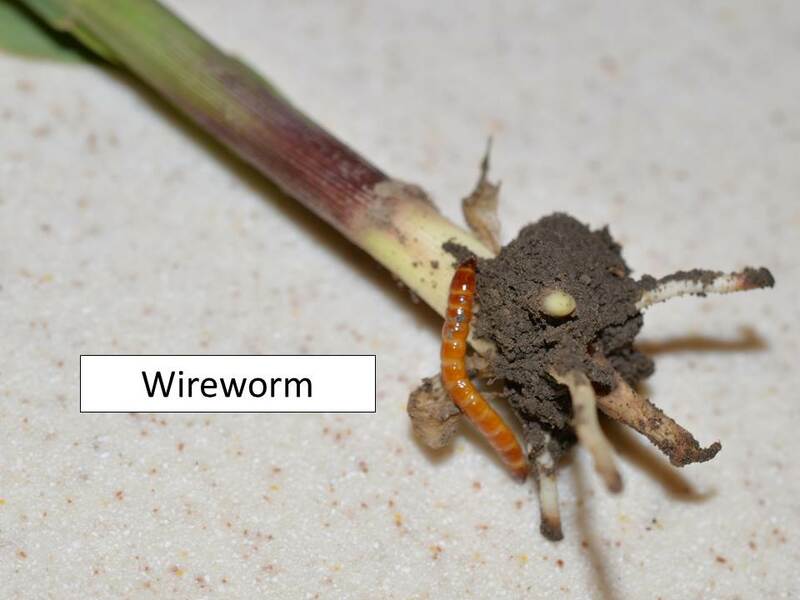 We have received a few calls about armyworm activity in wheat and sorghum, so when these larvae pupate and then emerge as adults to lay eggs, most corn will be in the whorl stage so there may be some whorl-stage leaf feeding which is always highly visible but causes very little actual impact on yield. We have not seen any “worms” in wheat, but have received several calls about armyworms feeding on leaf tissue. 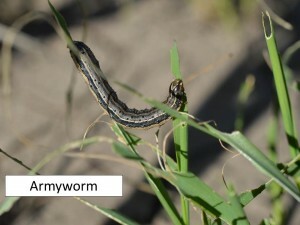 Armyworms should move to another grass host, i.e. corn, sorghum, brome, etc. as the wheat begins to senesce. 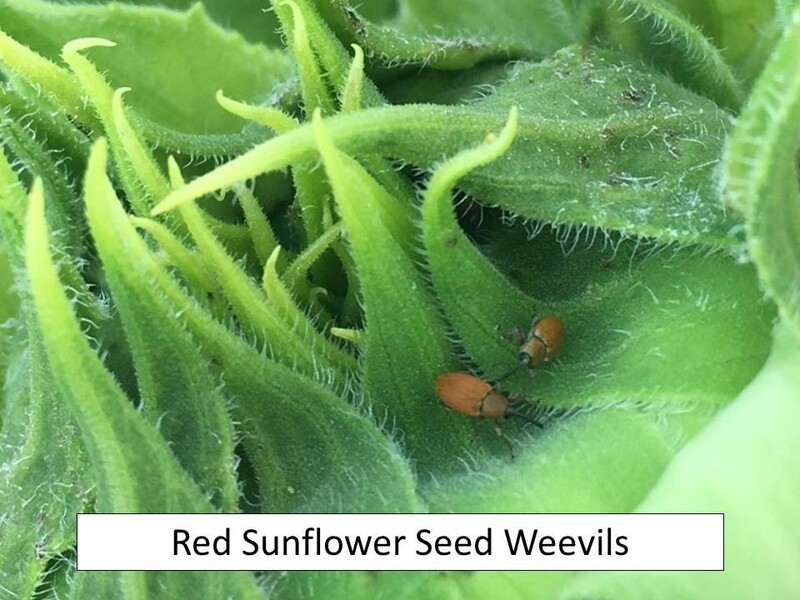 They actually devour leaf tissue and thus are not actually feeding on the grain. 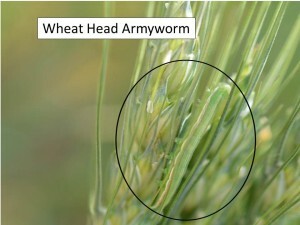 If there are thin, light green or tan worms feeding on the wheat head they are probably wheat head armyworms (see photo). They can and will actually feed on the grain whereas the armyworm feeds on the foliage around the grain – not the grain itself. 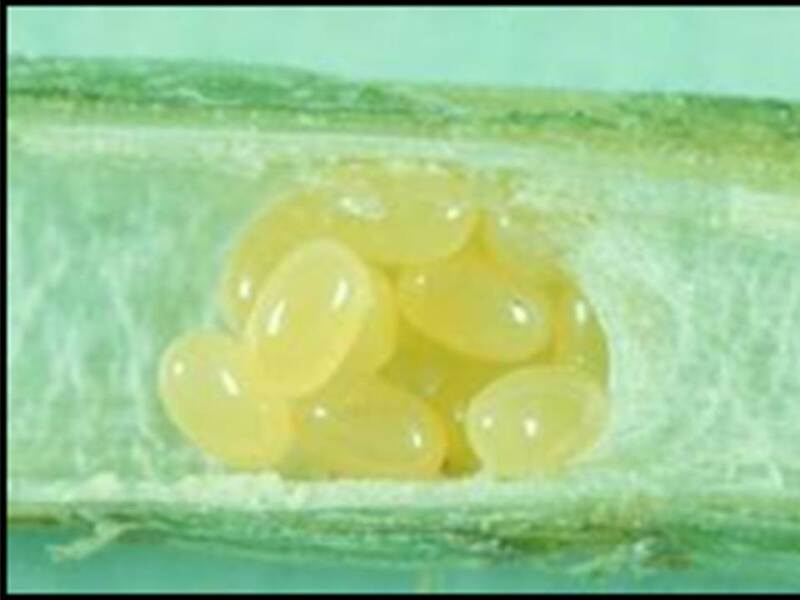 If you decide to treat either pest, please refer to the Wheat Insect Management Guide, 2015: http://www.ksre.ksu.edu/bookstore/pubs/MF745.pdf and make sure to check the label for the preharvest interval (PHI) if spraying wheat this close to harvest. Not to beat a dead horse given that Dr. Cloyd’s KIN #2 article addressed the facets of ALB development/damage/control, and last week’s update in KIN#3 substantiating the actual initiation of the 2015 flight activity, but I noted that the table was incorrect in the “Date” column. So to correct that, I have entered the proper dates, and also added in this week’s flight numbers. 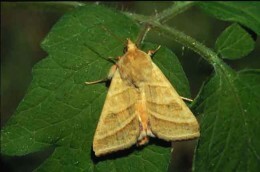 Again, as can be seen, these moths just don’t fly at temperatures below 70. So this week when temperatures were into the 70’s, moths were active. And, no more wrens.